For such a small list of ingredients this salad sure packs a seriously flavorful punch. 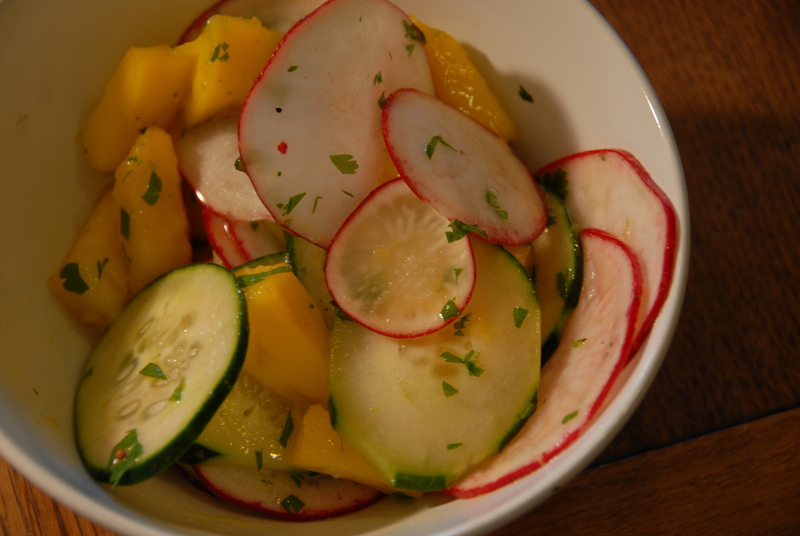 The combination of peppery radish with the crisp cucumber and sweet mango really sings. 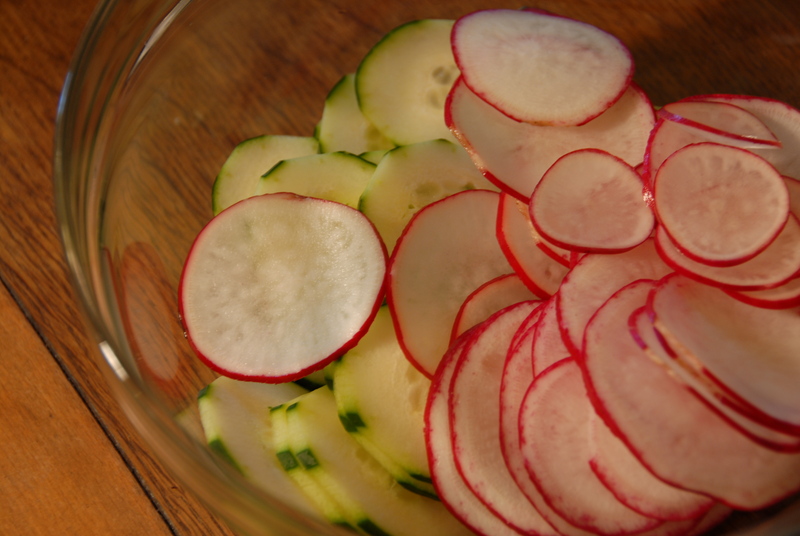 Full disclosure, I used a mandoline, or should I say mis-used a mandoline and ended up with a good slice of finger gone all in the name of speed and finely sliced radish. However you slice your veg… be careful! 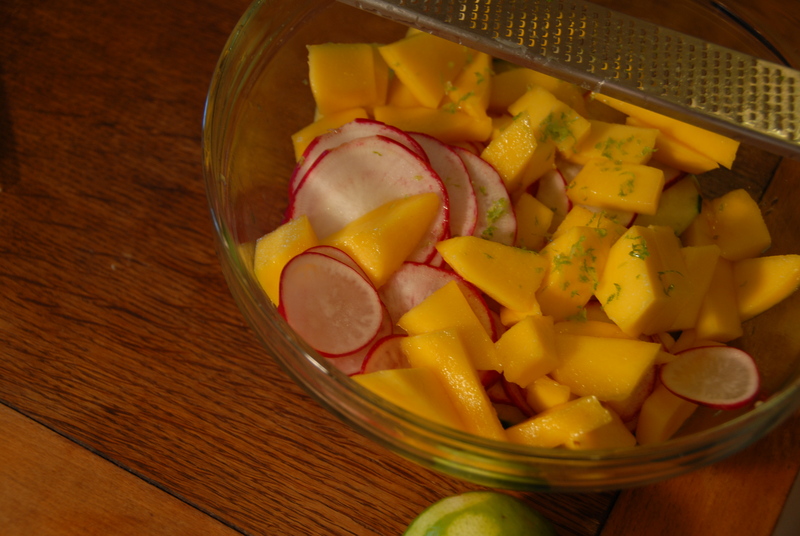 The salad comes together quite quickly – simply dice the mango, slice the cucumber and radish and place in a large bowl. Zest the lime over the fruit and vegetables. In a separate bowl combine the olive oil with the lime juice and salt. Dress the salad and fold in chopped cilantro. I couldn’t think of a more perfect summer salad. Refreshing and vibrant. Yum! This entry was posted in Radishes, Uncategorized and tagged cilantro, cucumber, lime, mango, radish, salad. Bookmark the permalink.